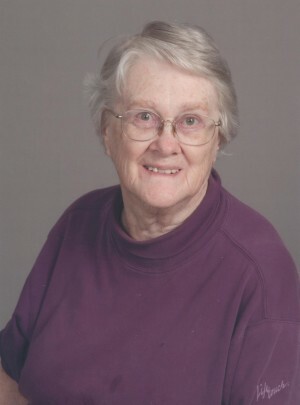 Jewell Holt - age 88 of Gallatin, MO passed away Sunday morning, January 20th, 2019 at Golden Age Nursing Home in Braymer, MO. Jewell was born on November 27th, 1930 the daughter of Linden and Lavon (Roach) Dennis in Galt, MO. She was a 1948 graduate of Galt High School. On September 5th, 1954 she was united in marriage to Justin Holt in Kansas City, MO. He preceded her in death in 2017. Jewell attended nursing school in St. Louis and Kansas City. She worked as a nurse at Kansas City General Hospital, Milan Hospital and the nursing home in Gallatin. Jewell retired from Gallatin R-V School District in 1996 as the school nurse after over 20 years of service. She loved nursing, shopping for antiques, making clothes for grandchildren and sewing. She was preceded in death by her husband, Justin; brother, James Dennis; granddaughter, Stephanie Holt. Those left to mourn her passing include: son, Eric (Lisa) Holt of St. Peters, MO; granddaughter, Kristen (Jon) Very of St. Peters, MO; grandson, Travis Holt of Phoenix, AZ; great-granddaughter, Mikaela Very; nephew, Danny and niece, Mary Jane; other extended family also survive.